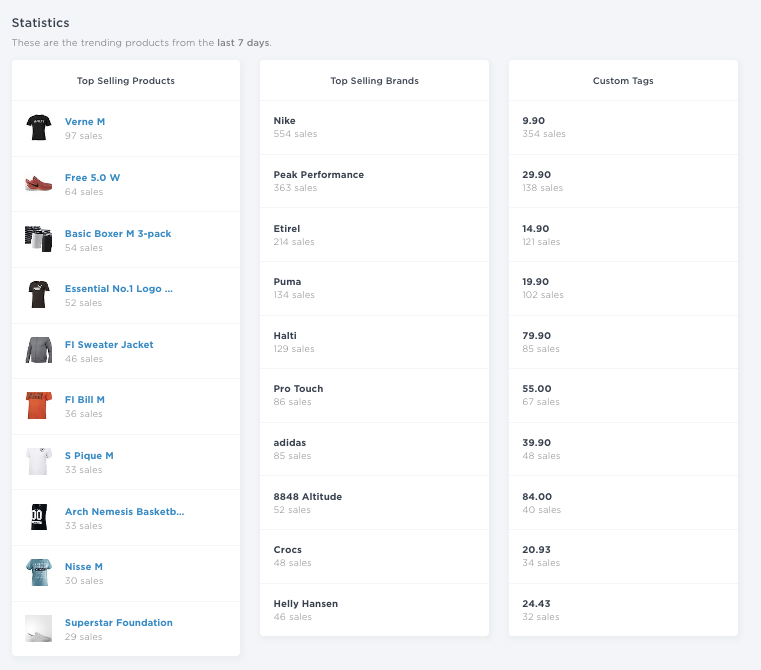 Dashboard introduces the activity on the site providing valuable insights about customers shopping on your site and their behaviour in real time. Live feed allows monitoring what products are currently being viewed and for example if active campaigns are delivering expected results also allowing shop managers to react immediately to trends in customer behaviour. Summary of active sessions on the site. While the potential revenue is the sum [of value] of all products across all carts. Clicking Live Feed opens up the live feed. Summary of key performance indicators. Statistics are from the past 30 days and measured against the previous month illustrating trend changes. Visitors: A sum of visits on the site. Conversion rate: Share of visitors who bought something during their visit to the site i.e. Number of visitors who bought / Overall visitors = conversion rate. Average Order Value: Overall sales / number of orders = AOV. 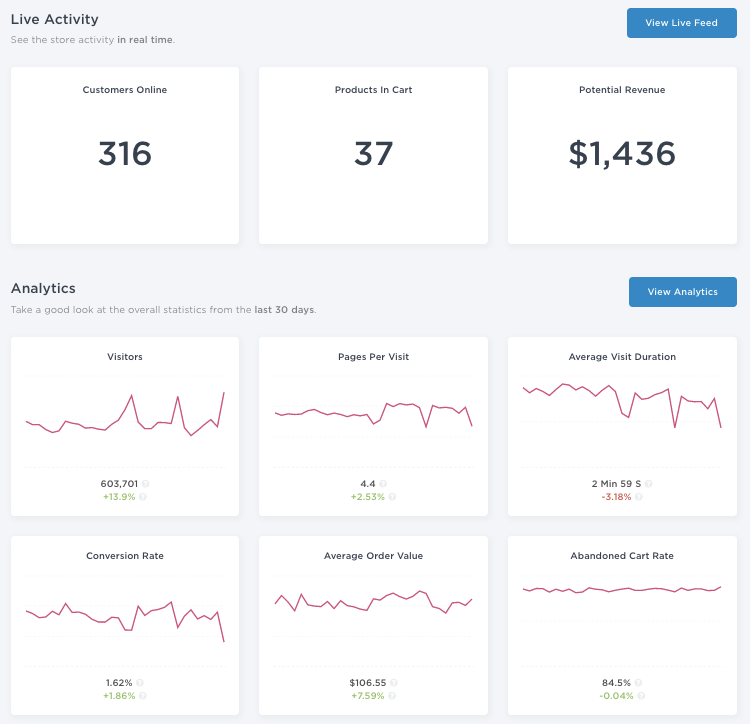 Overall product sales statistics from the past 7 days.